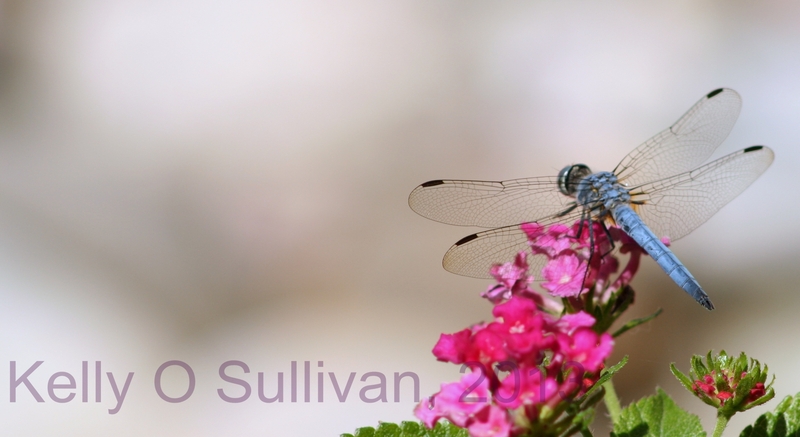 The dragonflies have returned to our pond and I couldn’t be more delighted. 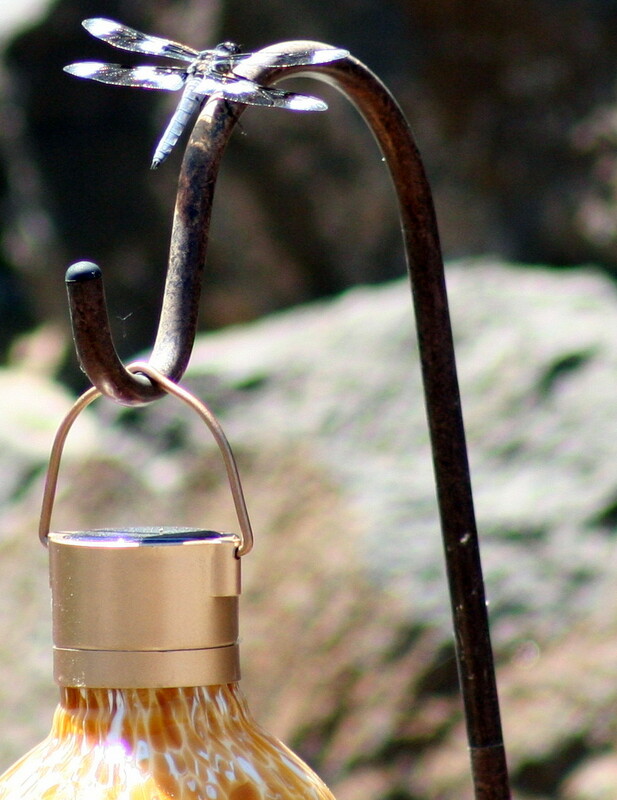 For one, they are a sign of a healthy ecosystem. But they also eat annoying things. And they are terrific models! 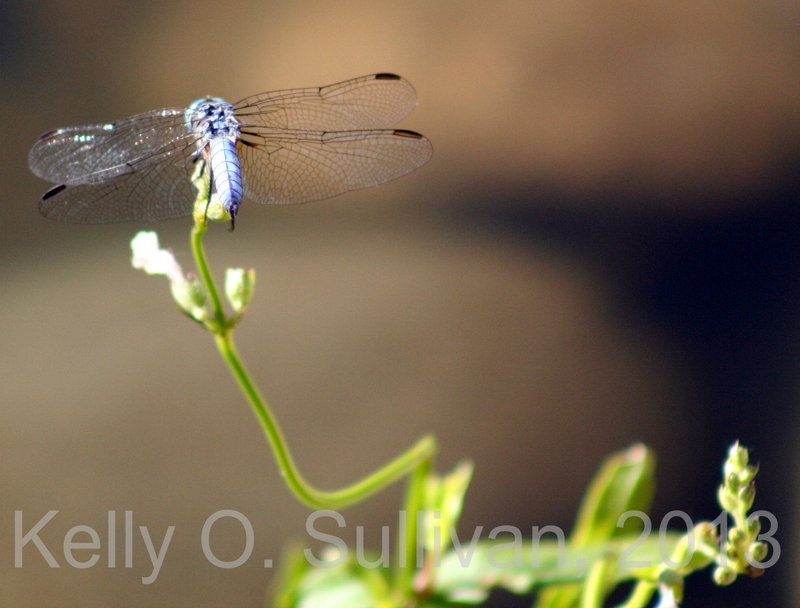 We get a lot of dragonflies in our yard, attracted by the water (and bugs to eat, one presumes). 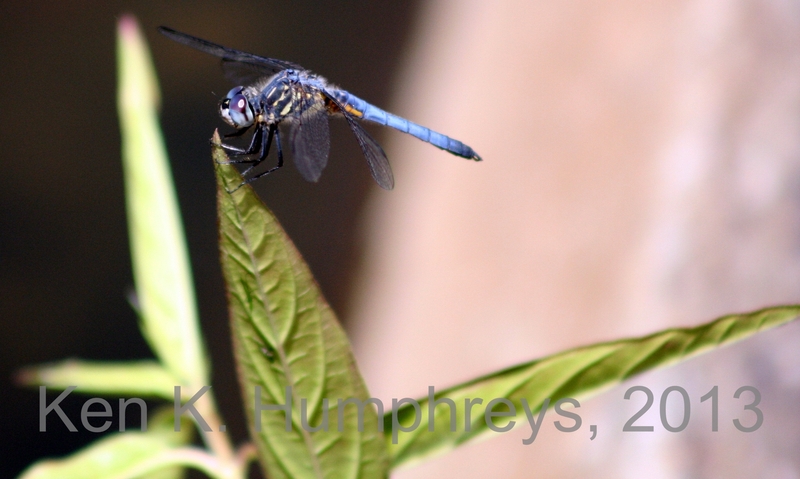 Usually they land on plants or on the deck or not at all – but sometimes they decide to pay us a visit more personally. 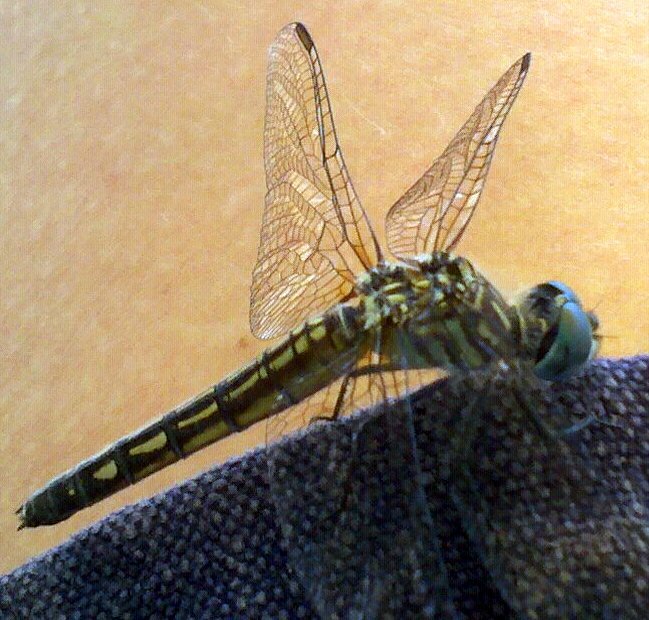 This little guy decided to land on the edge of my shorts (taken when it was much warmer than it is now!) and I managed to get my phone out and take his photo before he left. Quite auspicious, I am given to understand. Their wings are amazingly complex.